Every watch has its own serial and model reference numbers, which identify specific information about the timepiece. The model reference number of a watch, which may be numeric or alphanumeric, indicates a particular model of watch (for example: Daytona 16520 Rolex, Patek Philippe Nautilus 5712R, Cartier Roadster Chrono W62019X6). The serial number identifies key information about a watch and, also, its year of manufacture (for example, Rolex serial number 9987000 = year 1987). The serial and model reference numbers can be found on the watch guarantee. If the guarantee is not available, these numbers can also be located externally or internally on the watch itself. If a watch needs to be opened in order to gain access to these numbers, it is essential that this operation be performed by an authorised service centre, in order to avoid any damage being caused. 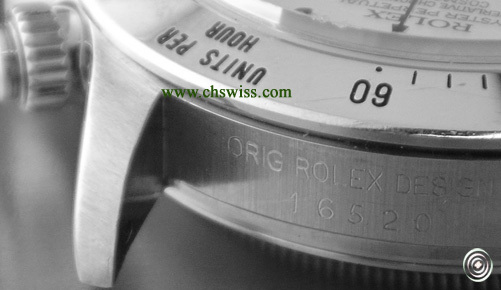 On a Rolex watch, this data is engraved onto the watch-case; the model reference number being above the 12th hour and the serial number below the 6th hour. On new Rolex models, the serial number can also be found on the bezel, set between the glass and the dial. 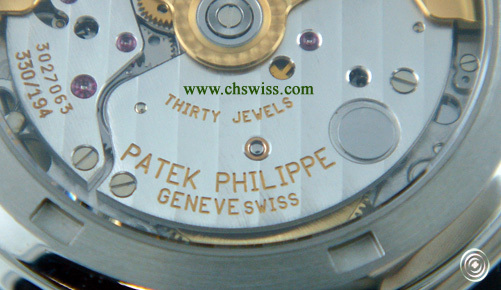 Occasionally, the reference number can also be found inside the back of the watch-case, a location also preferred by other watch manufacturers, such as Patek Philippe, Jaeger-LeCoultre and Omega. Otherwise, manufacturers such as Cartier, Officine Panerai and Frank Muller engrave their serial and model reference numbers externally on the back of the watch case. The movement number can be found within the mechanism of the watch itself. A few brands, such as Rolex and Omega, also show the model reference number on the bracelet/strap fitting. It is important to emphasise that any dismantling and re-assembly of a watch should be carried out by qualified personnel only, to avoid any damage.